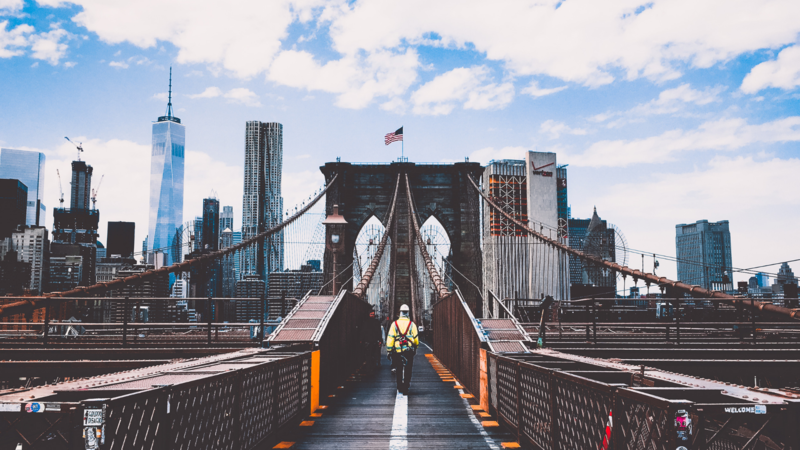 At the BIO Convention in June 2018, a report written by the Biotechnology Innovation Organization revealed that New York City now employs the most Biotech research workers in the country. Much to the dismay of Massachusetts and Californian Life Sciences professionals, NYC has taken over the top spot! But in the city that never sleeps; what is here to support the organizations and professionals and why should you base your Biotechnology venture here in 2019? Why should you base your Biotechnology company in the city that never sleeps? What support is available to the increasing number of organizations and professionals? In 2016 New York Gov. Andrew Cuomo announced a $650 million initiative to spur growth and propel New York City to become the leading life sciences research hub not only in the U.S but in the world. The initiative was based around a $250 Million dollar tax break for Biotechnology companies looking to set up in the city along with $200 Million in grants to support wet lab research facilities across the city. Furthermore, the Alexandria center was launched, which is a biotechnology incubator that is the first of its kind in New York City, housing some 25 budding Biotechs. If that wasn’t enough, Forbes reported a further $100 Million investment that is set aside to establish a hub in the city, rumored to be in the fantastic new development at Hudson yards! With New Jersey across the Hudson River housing all of the “Big Names” in Pharma, there are tens of thousands of Pharmaceutical/ Biotechnology professionals in the Tri-State. J&J, Novartis, Merck, Allergan, Sanofi & BMS are all based within commuting distance to NYC. But what does that mean for the budding Biotechnology organization? People want to leave the archaic world of big pharma and get into the exciting world of Biotech start-up. From what I have found, a good percentage of the mid-senior workforce are looking to leave the highly structured world of big pharma and get into a more innovative organization where they are closer to the action and are offered more opportunities. Intercept Pharmaceuticals are a fantastic example of a company who have taken advantage of this, by basing its office in midtown Manhattan where a good majority of their senior leadership hail from big Pharma. For entry level talent New York City has excellent Schools in NYU, Columbia, CUNY and Rockefeller University. I can assure you that attracting graduates to take their first job in New York will be a breeze, as it is such a desirable city for Millennial/ Gen Z! (I can personally testify as I moved here from London at 24). Being in NYC, you are placed in an unrivaled research hub providing an outstanding ecosystem for research and commercialization of your product. With major medical centers such as Memorial Sloan Kettering, The Albert Einstein College of Medicine, New York Presbyterian/ Columbia University Medical Center, NYU Langone & The Icahn School of Medicine at Mount Sinai among others, New York City also receives the third highest total funding figure from the National Institute of Health (NIH). You will be based in the world hub for investment banking, asset management, private equity and venture capital, so if you are looking to engage the street, there is no better place. There are endless networking events, Investor conferences and opportunities to engage with the relevant major players in the finance world. The fantastic network of conferences and events was highlighted most recently by the Bio CEO and Investor conference held in New York’s Times Square where over 1,400 attendees were present across the Biotech and investor worlds. So forget Massachusetts, with its terrible sports teams or California with its awful weather… Come to the Big Apple to launch and grow your next venture! Alex is the East Coast VP for Skills Alliance and is eager to engage with anybody in the Life Sciences industry who finds this post interesting. If you would like to find out more about us and our activities here on the US East Coast and how we can positively affect your hiring strategy either now or in the future.